​Jay Gruden's son had a run-in with the law this weekend and pops is not going to be happy about this one. 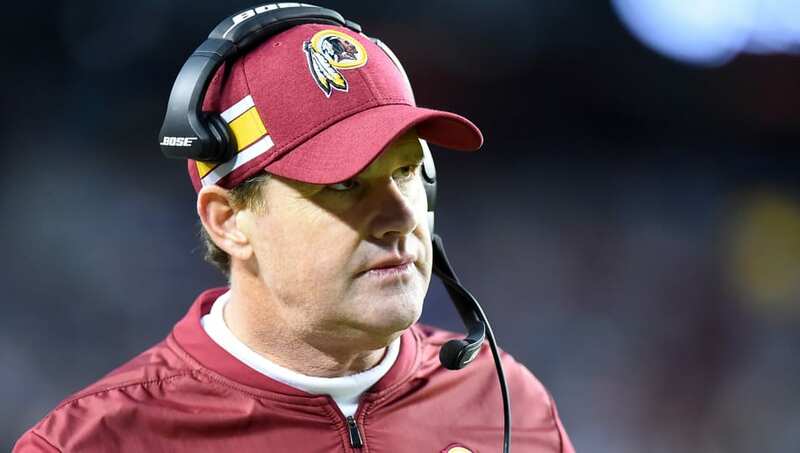 According to NBC Sports Washington, Jack Gruden, son of ​the Redskins head coach and video assistant with the team, was arrested on Saturday for "being drunk in public after multiple confrontations." According to the incident report, the 22-year-old Gruden got into a verbal argument with another male early Saturday morning and they had to be separated by a deputy on patrol. The report then says Gruden walked after the male to try to continue the confrontation and was found in two other confrontations with people later in the day. Gruden was arrested and charged with being drunk in public. This isn't the only arrest of a member of Washington's team in recent months. Back in December, safety Montae Nicholson was also arrested after getting into a fight outside of a restaurant.